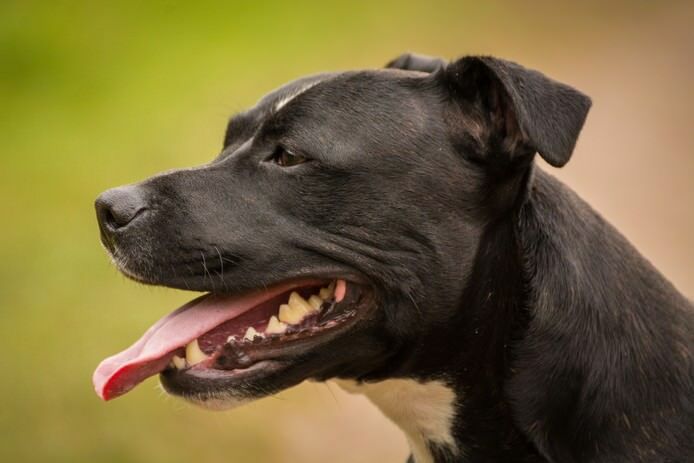 Heat-Stroke (hyperthermia) occurs when a dog's normal heat regulating mechanisms become overwhelmed and cannot keep his body temperature in a normal (safe) range: that is, when heat gain exceeds his ability to dissipate it. When the elevated body temperature is sufficiently high, it is a true medical emergency requiring urgent treatment to prevent disability or death. This process is one facet of homeostasis, the dynamic process through which the dog regulates his internal environment to maintain a stable, constant condition related to the external environment. The processes in zoology has been called ecophysiology or physiological ecology. Dogs, like most mammals, are endotherms: warmed mostly by heat generated through the metabolic breakdown of food (almost 60% of the “energy” stored in food is lost as heat during this process of “endothermy”). In the cold, endotherms adapt because fat layers of fur insulate the body and retain heat; shivering (muscle contraction) is an instinctive process to maintain body heat. 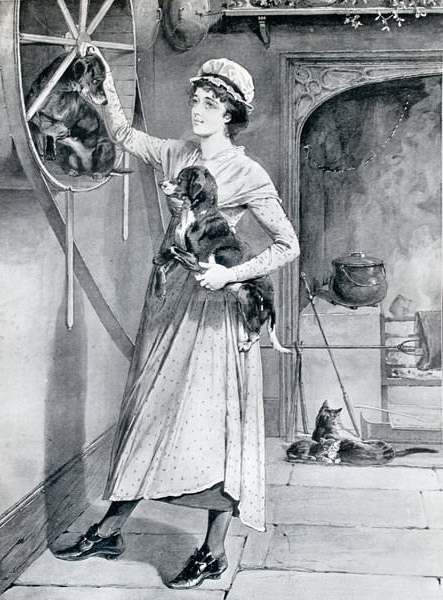 Dogs then, as “warm-blooded” animals, have a high temperature almost constant and independent of that of the environmental temperature (homeothermy). By contrast, ectothermic animals—amphibians, lizards, snakes, turtles, many fishes, most invertebrates—get most of their heat from external sources, and can often tolerate wide fluctuations of internal temperature. A fever is caused through the action of the pre-optic region of the anterior hypothalamus (the thermo-regilatory center of the midbrain) which re-sets the body's core (normal) temperature (analogous to re-setting the thermostat) to a higher temperature. The hypothalamus is a portion of the brain that links the nervous system to the endocrine (hormonal) system via the pituitary gland. 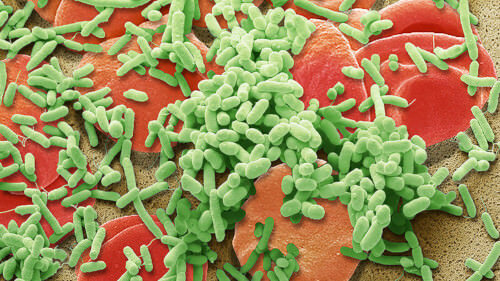 It is among the body's immune responses that attempt to neutralize a bacterial or viral infection. Hyperthermia, however, occurs when the dog's body temperature rises without this signal from his thermoregulation process. Heatstroke is non-pyrogenic hyperthermia. How Do Dogs Cool Themselves? Contrary to what we often assume, dogs overheat more quickly than we do. Dogs do not “sweat” though their skin like humans, but sweat only through their nose and foot pads (you'd notice this on a hot day, if you "shook hands"). This process is inefficient for “heat exchange”—also further impeded by external factors such as land surface temperature—and should not be relied upon. Secondarily, cutaneous vasodilation, or dilating of blood vessels (which can cause a “flushed” appearance on the skin, most noticeably in the ears) is taken. Vasodilation helps bring warm blood directly to the surface of the skin, allowing for it to cool before returning back to the heart. On a cool day, the dog will breathe through his nose: the cool outside air is warmed as it travels through the passageways of the muzzle on inhalation on way to the lungs. The large surface area of the lungs is highly vasculaized (endowed with blood vessels, thereby capable of transmitting oxygen); and air from the lungs warms the tissues that it passes across during return (exhalation) through the nose. The heat content of the air is conserved. This process changes when temperature rises: the dog opens his mouth to thermoregulate: air is exhaled through the mouth instead, releasing heat by “panting,” or blowing out heat. On a warm day, a dog expels heat (heat exchange) through "panting"
A dog’s ability to maintain stable core body temperature (around 103°) on a warm day hinges on evaporation of air moisture content. 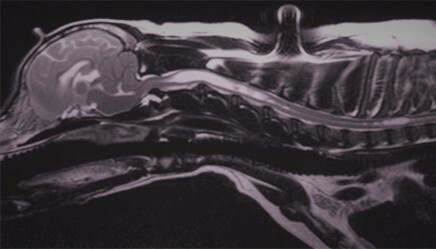 As warm air is inhaled it passes over the nasal chonca or turbinates: a complex, membrane-lined maze of protruding bone passages in the muzzle through which air must flow on the way to the trachea. Warm air has a high saturation point (it can hold more water than cool air). So, warm outside air passing over the moist turbinates picks up more water by evaporation, which cools the turbinates that are giving up the moisture. The blood in the capillaries of those tissues is thus cooled and supports reducing brain and body core temperature; then, the warm air (moist, body-temperature air) is expelled through the mouth. As the air passes over the moist tissues of the mouth and the tongue, evaporation will cool these surfaces and this also helps to reduce body temperature. This is why brachycephalic (short muzzle) breeds, such as pugs, are vulnerable to heat stress: their compressed turbinates restrict their ability for evaporative cooling (and likewise: efficient heat conservation in winter). helps to reduce body temperature. a dog cannot shed body heat. Solar radiation energy which has reached the surface of the earth is composed of a broad spectrum of energy wavelengths, from approximately 200 to nearly 3000 nanometers (nm). Energy that we see as visible light (“photons,” or “visible light particles”) are distributed between 450-700 nm wavelengths. They comprise only a minority of the total spectrum. Most of the spectrum lies in the infrared wavelengths above 700nm—energy we feel as heat. The remainder of the spectrum is short wavelength ultraviolet, below 450nm. The absorption and transmission coefficients for glass are a function of the wavelength of light: blue indicates ultraviolet, yellow visible light, and red indicates infrared or heat energy. This represents the spectrum of solar radiation (sunlight) that may penetrate a car windshield or windows. However, the “transparent” glass is actually transparent only to what we consider “visible” light. This leads to the seeming paradox where the equilibrium situation reached by the inside of the car is not represented by the external temperature; even if the windows are open... but why? Because most of the solar radiation enters as heat. Since glass vigorously bs heat, this leads to the glass re-radiating heat energy in all directions; some of it enters the car, the rest returns to the environment. This is why we cannot expect the inside of the car to come into thermal equilibrium with the outside air temperature, even on what we may describe as a “cool” day. as heat from the dashboard, door panels, plastics and seats is reflected back. Assuming “it just not that hot out” is a mistake: with an outside air temperature of just 75°F, it takes only 10 minutes for the interior to reach 100°F; in just 30 minutes, the same car can rise to 120°F. We cannot judge the comfort or safety level of our dogs through our own standards of “being hot.” Hyperthermia may be exertional or non-exertional, depending on whether the dog has been exercising —or just sitting—in the heat. Normal body temperature is 100° - 102.5°F, and a rise in body temperature of only 4° can initiate heat exhaustion. Once the process of heat stroke has begun, there is little time before serious irreversible damage—or death—can occur. Elevated core body temperature quickly leads to dehydration, and speeds up the metabolism of different tissues such that their metabolic capital (the ability to integrate and transmit energy through metabolic pathways of radiation and convection) becomes exhausted. In the initial stages of heat stress (106°), cardiac output increases due to peripheral vasodilatation and the accompanying dedecreased vascular resistance. As hyperthermia progresses, splanchnic blood pooling occurs—the parallel circulation of the gastrointestinal tract originating at the celiac trunk: gastric, small intestinal, colonic, pancreatic, hepatic, and splenic circulations— and causes a decrease in circulating blood volume: resulting in abnormally low blood pressure (hypotension). Cardiac output then starts to decline due to decreased vascular resistance and circulating blood volume (hypovolemia). Thus, heat loss through the mechanisms of radiation and convection fail. Hypotension and global thermal injury causes multisystem organ dysfunction; widespread cellular necrosis (death) and organ breakdown occurs at temperatures above 109º F. At these higher temperatures, ordinary metabolic energy pairing fails: as uncoupling of oxidative phosphorylation occurs, enzymes are denatured, and cell membrane functions are disrupted. The coagulation, renal, hepatic (liver), gastrointestinal, and central nervous systems may all be affected, with mortality rates reported in dogs from 36% to 50%. 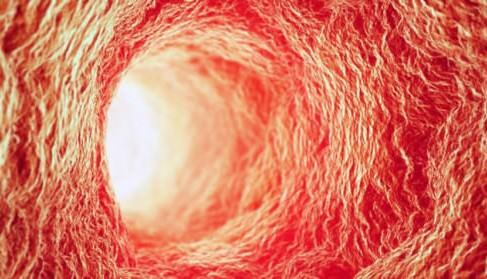 As normal oxygen delivery is shunted, thermal injury to the endothelium—cells that line the interior surface of the heart, blood and lymphatic vessels—causes widespread vascular damage and initiates coagulation to attempt repair of the injured vessels. Thermal injury to muscle tissue advances: cell necrosis in multiple organs stimulates excretion of excessive myoglobin (an oxygen-binding protein), as abnormal clumps of thickened blood (clots) form inside blood vessels (DIC: disseminated intravascular coagulation), consuming the blood's clotting factors. 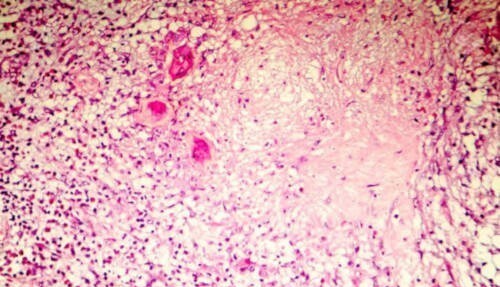 This can lead to massive bleeding in other places: hemorrhagic diarrhea, (Hemorrhagic gastroenteritis: HGE, a quickly fatal disease, characterized by sudden vomiting and bloody diarrhea), hematemesis (vomiting of blood: bleeding is from the upper gastrointestinal tract), or gastric ulceration... as potentially fatal bacterial translocation of already present pathogens into the bloodstream (sepsis) is dramatic. Once sepsis has set in: it triggers a body-wide inflammatory response. Oxygen deprivation from DIC produces dyspnea (disordered breathing: ordinarily seen as “shortness of breath”) by debilitating the metabolic capital of the respiratory center. Dyspnea is caused by problems with central information processing in the brain that compares signals from afferent (lymphatic vessels in the lymph nodes) and efferent (thymus and spleen) sources. A conflict or mismatch of these signals leads to demand for ventilation: (afferent signaling) is not being met by the physical breathing that is underway. The resulting strain on the heart increases its rate; the beats then become arrhythmic (irregular) and eventually cease: widespread cellular injury and death to tissues of the central nervous system, brain, and intestinal tract—where up to 80% of the dog's immune system resides—from oxygen deprivation soon begins. Global thermal injury causes multisystem organ dysfunction: as uncoupling of oxidative phosphorylation (energy transfer) occurs, enzymes are denatured, and cell membrane (epithelial) functions are disrupted. As blood flow to the brain declines, low cerebral perfusion, cerebral edema (swelling from accumulation of fluids), or neuronal degeneration sets in: the central nervous system is overwhelmed by conflicting signals and delirium (cognitive deficit) and convulsions may set in. Soon after, fibrocartilaginous embolism as a result of a sudden blockage of a vessels that supply blood to the spinal cord may lead to stroke. Consciousness may be lost: propelling the dog into a comatose condition, propelling neurologic injuries and asphyxia (severe oxygen deprivation, choking) can occur. At this stage, muscle becomes rigid with heat rigormortis, with the sudden rigidity of the whole body and generalized hypoxia (loss of blood supply to the entire body): leading to multiple organ dysfunction syndrome (MODS). In an acutely ill patient, MODS is defined when the function multiple organs makes maintaining homeostasis (dynamic equilibrium: maintaining a stable, constant condition) impossible without medical intervention. However, hypoxia generally renderis life impossible: permanent injury to vital organs, and death, soon follow. Even a dog who “recovers” from overheating can have vital organ damage, renal failure, and lifelong health complications and challenges. you can use that information to judge when he is breathing harder than normal on a hot day. Shock; Collapse and/or loss of consciousness; seizures. At 125˚, skin destruction can occur in less than 60 seconds. If you cannot keep the back of your hand on a surface for 5 seconds... it is too hot for your dog's feet. 5 seconds, it's too hot for your dog's feet. If you have even the smallest question that your dog is entering heat stoke, you must take immediate action. Don’t be hesitant to ask others—even passersby—for assistance, or to call your vet as you work without delay, as time is of the essence. Move your dog out of the heat and away from the sun immediately (ectothermic cooling). Begin cooling your dog by placing cool, wet rags or washcloths on the body - especially the foot pads and around the head. Use a fan to blow air over him if one is available (ectothermic cooling). Move to an air-conditioned car. Offer your dog cool water, but do not force water into his mouth: he may inhale it or choke. Even if your dog seems recovered: call or visit your veterinarian immediately for advice: internal damage may not be evident to you; further testing may be important. Dogs who suffer from heat stroke can develop serious delayed complications that can lead to death, if they are not properly monitored. Dogs with moderate heatstroke often recover without complicating health problems. Severe heatstroke can cause organ damage that may necessitate ongoing care (a veterinarian-prescribed special diet), and are at increased susceptibility to succumb to hyperthermia in the future: exceptional care must be taken on hot, humid days. What will Your Veterinarian Do? If you have been unable to, your vet will lower your dog's body temperature to a safe range, and continue to monitor his condition. He will be hydrated, and likely given oxygen. The vet will monitor for “shock,” respiratory distress, kidney failure, heart abnormalities, and other complications; and treat accordingly. NEVER leave your dog alone in the car on a warm day, regardless of whether the windows are open. Even if the weather does not seem extremely hot, the inside of the car acts like an oven: temperatures can rise to dangerously high levels—even 140 degrees—in a matter of minutes. “Cracking” or partly opening the windows will NOT alleviate this danger. (See discussion above): the windows in a car act as an insulator, effectively turning the cabin (the greenhouse) into an “oven,” especially in the sun as short wavelength visible light is converted to longer wavelength heat energy as it reflects from the dashboard, door panels, plastics and seats and cannot pass through the windshield to dissipate. With an outside air temperature of just 75°F, it takes only 10 minutes for the interior to reach 94°; in just 30 minutes, to nearly 110°; and in an hour, that same car can rise to 120°F. Recent years have seen a dramatic increase in the number of dogs nationwide injured or killed after being left alone in cars for “just a moment or two.” And regardless of lack of intent: guardians are subject to prosecution, pursuant to state or local animal cruelty laws. Dogs outside for any period of time need access to shade: chaining is dangerous, and illegal in many municipalities, pursuant to animal cruelty laws. Currently, 32 states and the District of Columbia place specific restrictions on tethering animals. For example, California law prohibits a person from tethering, fastening, chaining, tying, or restraining a dog to a dog house, tree fence, or other stationary object, with some exceptions. The Animal Legal and Historical Center (Rebecca F. Wisch, Michigan State University College of Law) has published an organized table that captions summaries of current state laws. In Connecticut, a “first offense” fine is $100; 2nd offense is $250; with subsequent offenses $500 (CGS § 22-350a: Tethering dog to stationary object or mobile device. Prohibited means. Retention of other protections afforded dogs. Confining or tethering dog for unreasonable period of time). Avoid vigorous exercise on warm days. When outside, as you would for yourself, seek shady areas. On a hot day, do not muzzle your dog; (it can impair his ability to pant/exhale heat). Realize that above 89°F, your dog cannot shed body heat, as a matter of physiology. Dogs with predisposing conditions (heart disease, obesity, elderly dogs, or those with breathing problems): need extra supervision: even so-called “normal activity” for these dogs can be harmful. Don’t jog with your dog on a day that is even moderately hot. Avoid hot surfaces (sand), and areas lacking shade—particularly asphalt—where light energy is converted into heat. Consider protective pad wax or socks/booties on any day above 77°F. Keep fresh cool water available at all times, encourage your dog to drink frequently. Wetting down your dog with cool water, or allowing him to swim, can be beneficial. However, do not assume that a dog playing in water cannot overheat: when water temperature gets above 75°, vigorous play can lead to hyperthermia. Be aware that certain types of dogs are more sensitive to heat: especially obese dogs and short-nosed breeds (Pugs, Bulldogs, others) that cannot expel heat efficiently. Keep your dog active year-round, to ensure for his general health; build up his tolerance for heat slowly: when anticipating a heat wave, act accordingly. Move your dog to a cool area of the house; if you do not have access to air conditioning, keep him in the path of a safe and efficient fan, or, to provide a cooler environment, freeze water in soda bottles, or place ice and a small amount of water in several re-sealable food storage bags, then wrap them in a towel: place them on the floor for the dog to lay on. If you see a dog left in a running vehicle with the air-conditioning running, you may need to intervene immediately: the air-conditioning compressor will turn off if the engine gets too hot, and instead of cold air flowing from the vents, hot air will flow into the car, quickly overwhelming the animal. Metabolism is two categories of chemical reaction in living organisms that maintain life, allowing them to grow and reproduce, maintain their structures, and respond to environmental influences. Catabolism breaks down organic matter to harvest energy (example: cellular respiration); while anabolism uses energy to build components of cells (examples: proteins and nucleic acids). These chemical reactions are structured into metabolic pathways, in which chemicals are successively transformed into different chemicals by a sequence of enzymes. Enzymes regulate these metabolic pathways to respond to changes in the cell’s environment (or signals from other cells), and act as catalysts, coupling spontaneous reactions to quickly and efficiently release energy which would not otherwise occur. Renal failure (kidney failure): a life-threatening medical condition in which the kidneys fail to adequately filter toxins and waste products from the blood; in hypothermia, resulting from acute kidney injury when the blood supply to the kidneys is suddenly interrupted (similar to massive/sudden blood loss). Even dogs that “recover” from hyperthermia face an elevated likelihood of developing this condition later in life. Recent studies include: Heat Stress From Enclosed Vehicles: Moderate Ambient Temperatures Cause Significant Temperature Rise in Enclosed Vehicles; Catherine McLaren, MD; Jan Null, CCM; and James Quinn, MD: Pediatrics Vol. 116 No. 1 July 1, 2005 pp. e109 -e112 (doi: 10.1542/peds.2004-2368); also: Heatstroke Deaths of Children in Vehicles, Jan Null, CCM; Department of Geosciences, San Francisco State University; and: Heat Exposure in an Enclosed Automobile, Lynn I. Gibbs, MPH, David W. Lawrence, MPH, RN, CS; Mel A. Kohn, MD., 1995 Journal of the Louisiana State Medical Society. N.B. : This essay is written for informational purposes. Our goal is to build awareness of concepts and define common terminology to stimulate discussion. We draw your attention to issues and concepts that are or may be important to the subject at hand, but do not consider that our interpretation is necessarily complete. that the sound of the drops hitting the roof filled the house. Out of nowhere, Catalina heard a bird singing. Bella: "What do you mean: 'the car is going to be a mess?'" Catalina believed in the connectedness of things and in the power of their instincts to guide them. Likewise she believed that Jasmine had been sent to her for a purpose. she had been freed to move on. Jasmine was off to do something else, somewhere else, while the rest of us were left to follow our own path.